Trihalomethanes (THMs) are a type of disinfection byproduct (DBP) that form when chlorine reacts with naturally occurring organic matter in water. THMs are the most common type of regulated DBP that water utilities struggle with. In-tank aeration has been proven to be effective at lowering THM levels in water distribution systems. But choosing an aeration system that balances THM removal with operating cost is not straightforward. 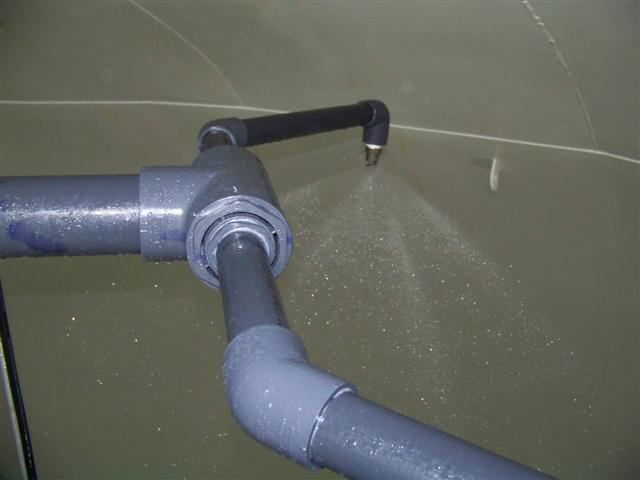 Below, we have compiled some common questions we have received on in-tank aeration design. © 2019 PAX Water Technologies, Inc.